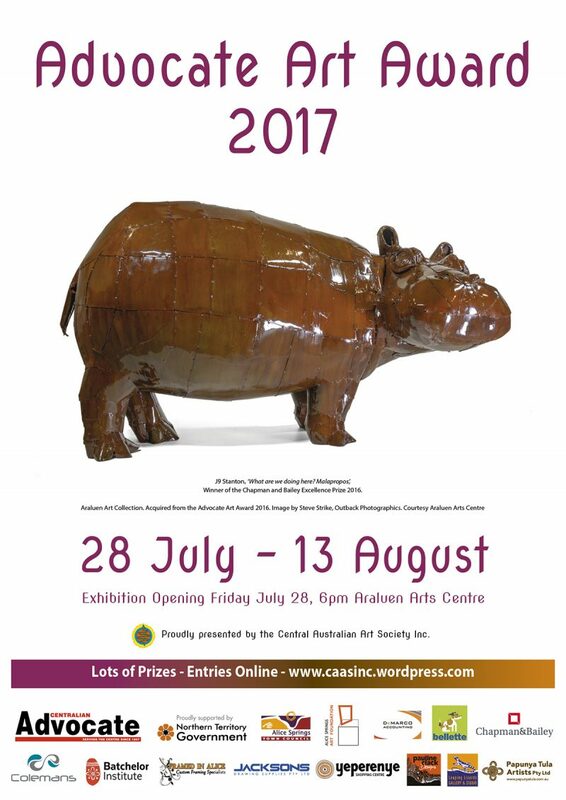 This entry was posted in Activities, Advocate Art Award, Exhibitions and tagged Advocate Art Award, Advocate Art Award 2017, art alice springs, art exhibition, art exhibition alice springs, Art Shed, art society alice springs, caas, Central Australian Art Society, exhibition alice springs, yeperenye. How can I get an entry form for the July exhibition? Julie, the paper form is available to download here. Find the pull-down menu ‘Advocate Art Award’ above. Alternatively, most people prefer to submit their application using the electronic form. First pay the appropriate fee, including membership if you so decide, by direct debit to your bank, and record the bank receipt number issued on the application form. Thanks.